How do I Choose the Best Deck Cleaner? A scrub brush and oxygen bleach can be used to clean a deck. Wooden decks can be cleaned with a mild solution of detergent and water. A power washer may be used to clean decks. A composite deck can be cleaned using laundry detergent and water. The best deck cleaner, as well as the best method of cleaning a deck or patio, is a matter of personal and professional opinion. For ease of use, effectiveness, ecological soundness, and surface protection, however, oxygen bleach, or oxygenated bleach, seems to be the best solution. The proper use of oxygen bleach and water is a bit time-consuming compared with, for instance, pressure washing or power washing, but it works. Pressure washing, if done incorrectly, will harm the surface of the deck through erosion of the wood. Pressure washing may actually dislodge small pieces of the wood, leaving the deck looking worse than when it was simply dirty. Even with pressure washing, it is frequently necessary to use chemical cleaners to remove stubborn stains. 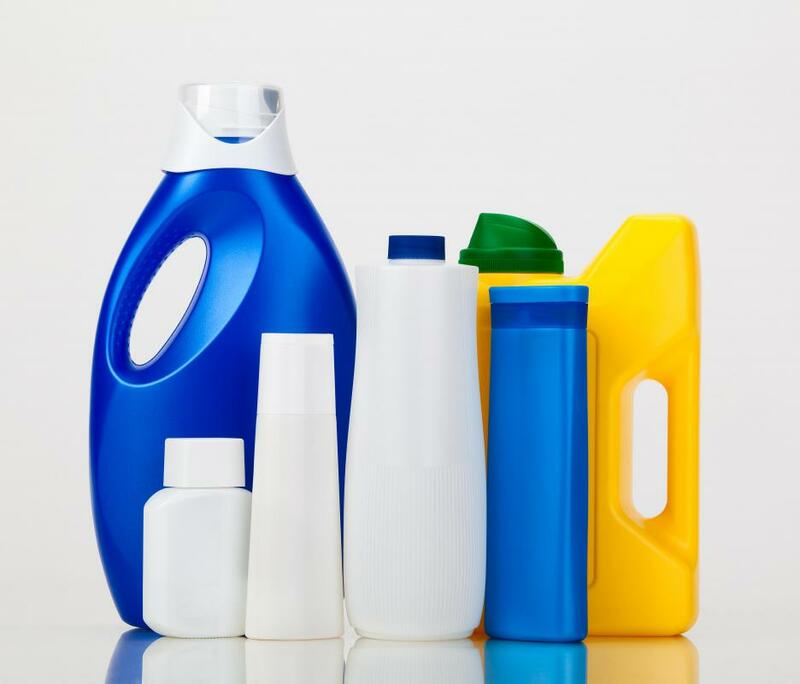 Oxygen bleach is composed, mainly, of hydrogen peroxide and soda ash. It is a powder that is mixed with warm water to dissolve into a solution. As with any product, the quality of various brands of oxygen bleach powder is subject to significant variations. Generally, the more expensive a particular brand of deck cleaner is, no matter the type, the more active ingredients it contains. Read the label on each brand to find out the type and amount of the various ingredients before purchasing. When using pure oxygen bleach as a deck cleaner, completely dissolve the bleach powder in the water. This means stirring the mixture for about five minutes to ensure the solution completely dissolves. There should be a thin film of bubbles at the top of the mixture when it’s mixed. Pour the oxygen bleach solution on a section of the deck. The solution will look a lot like soapy dishwater. Wait about five minutes, again, to allow the oxygen bleach solution to penetrate, then, use a scrub brush to scrub the area thoroughly. This deck cleaner should be used a section of the deck at a time until the entire deck is scrubbed. 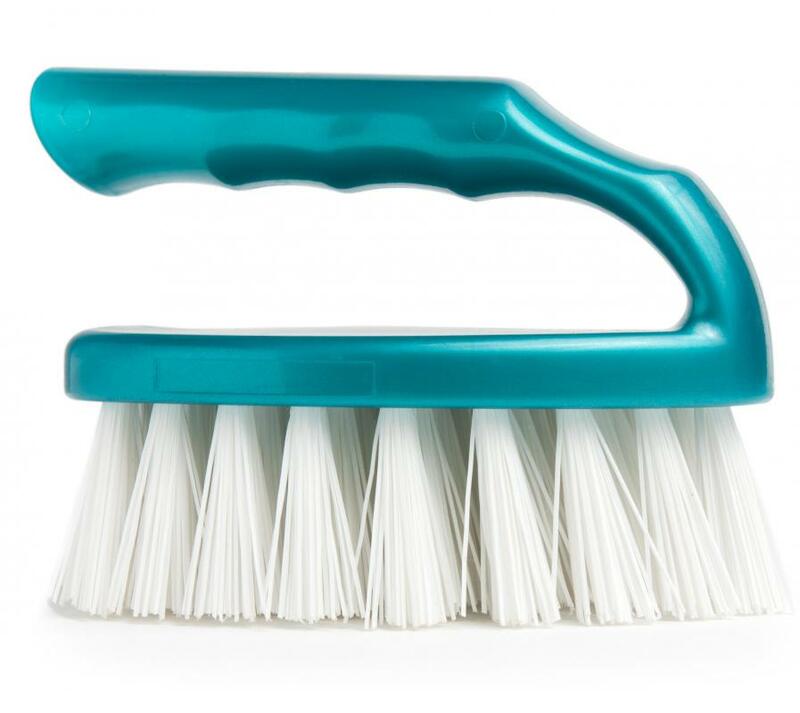 Be sure to scrub each section using at least moderate pressure on the scrubber. For stubborn stains, consult a professional, as more elaborate materials and methods may be necessary. When all sections of the deck have been scrubbed, the water and bleach solution should appear dirty. This means the deck is clean. Simply rinse the deck with a garden hose, and the job is done. 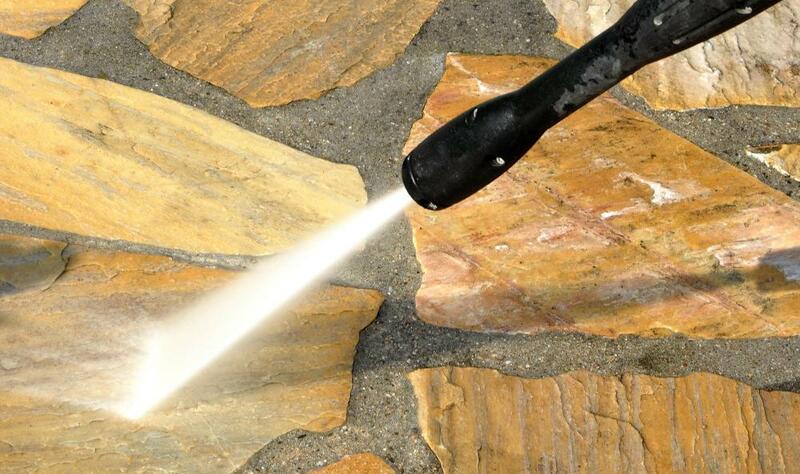 This exact method is also used to clean patios constructed of brick, concrete, and flagstones. An effective deck cleaner for a composite deck, on the other hand, is a mild dish or laundry detergent mixed with water. Only a light scrubbing with this milder solution is ordinarily needed. How Do I Choose the Best Brick Cleaner? How Do I Choose the Best Deck Railing? What is a Patio Tree? How do I Remove Deck Stains? 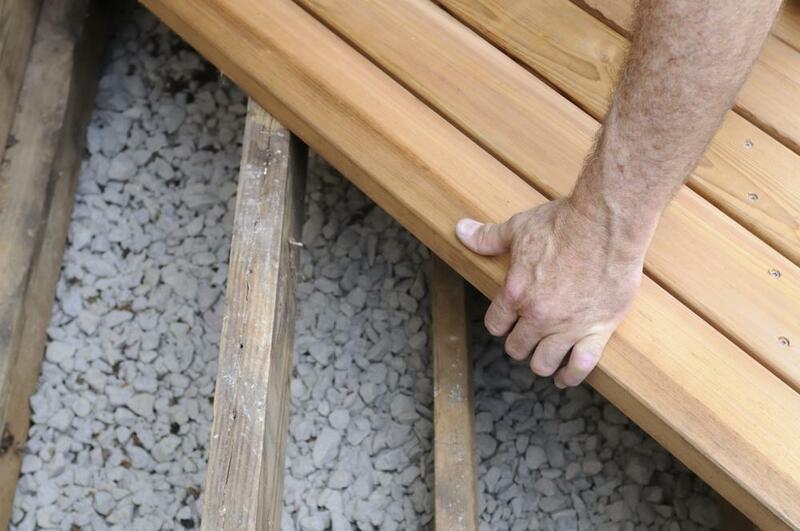 What is a Patio Deck? What is a Deck Chair? @Acracadabra - I think you're getting household bleach mixed up with the type used as a wood deck cleaner. Oxygen bleach, once mixed with water, just creates oxygen and soda ash. Neither of these will harm your yard, plants or any animals that share these spaces with you. I wrecked the wood deck in my last house by using a pressure washer, and now I've rebuilt it I don't want to repeat that mistake. The idea of a bleach cleaner is interesting, but I don't get how it isn't harmful to the environment. The only time I've ever used bleach is to whiten up kitchen cleaning cloths, and I feel bad about sending that solution into the sewer system!